After closure the chapel was sold. 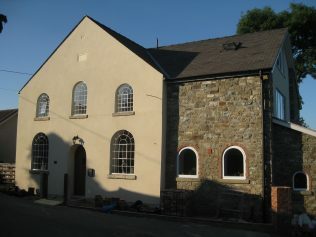 It was then converted into a dwelling and the attached Sunday School was pulled down to enable an extension to be built for the house. The Primitive Methodist magazine of August 1855 contains an account by James Arnold of the opening of Hope’s Gate (Hopesgate) Primitive Methodist chapel, then in the Minsterley Branch of Shrewsbury Circuit. “Dear Editor,— On Sunday, April 29, 1855, a very neat little chapel was opened for Divine service, in this locality ; in the morning and evening by the Rev. T. Jones, Independent minister, Pontesbury, and in the afternoon by Thomas Brocas, Esq., Copthorn-house, Shrewsbury. The sermons were highly satisfactory, and the collections liberal. The chapel is built of stone, 27ft. by 21ft. and 10ft. high from the floor to the wall plate. It has two windows in each side and two in the east end , has a boarded floor, is well ventilated, and will comfortably accommodate 120 persons. purchased the land, and who returned the money, except 5s., which he gave to the general missionary fund. We are also under obligation to Miss Barrot for collecting £5 and to another friend for up wards of £6. ; and to all who have interested themselves in collecting and contributing towards the erection, we tender thanks. ” Hitherto the Lord hath helped us.” and to him we would ascribe the glory. 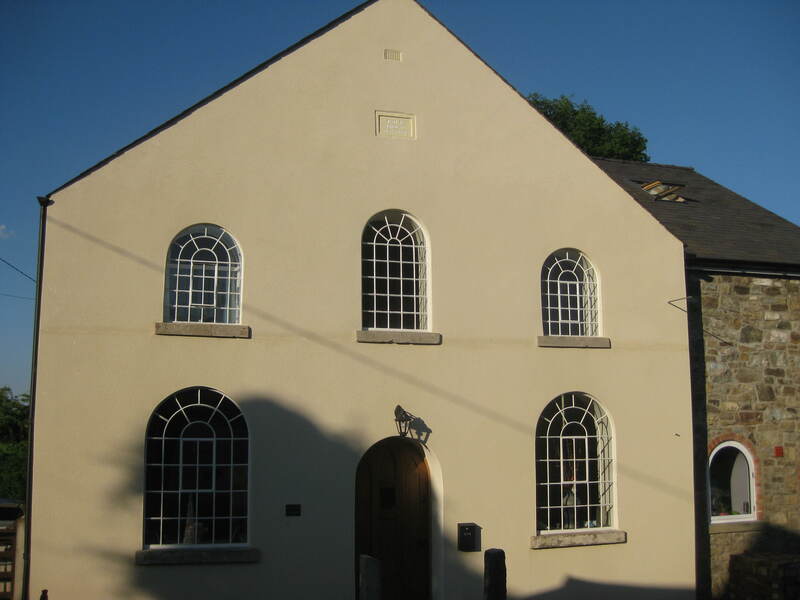 Shropshire Archives contains some records of this chapel including the closure and sale papers of c. 1984. Their reference number is: XNMB87/M/1. I have been trying for some time to find out why Hope’s Gate Primitive Methodist chapel does not (apparantly) appear on the late 19th century 25 inch O.S. maps. By going through countless editions of local newspapers, denominational magazines & the archives I have come to realise that the Hope’s Gate PMs (who were meeting in a cottage in Hope’s Gate in 1851) built their chapel in the adjoining hamlet of Bentlawnt during 1854-5. The PM chapel at Bentlawnt shown on the O.S. maps is only a few hundred yards away from the Hope’s Gate crossroads. There are NO references in the sources that I have looked at that refer to “Bentlawnt Primitive Methodist Chapel”, but there are many many references to “Hope’s Gate Primitive Methodist Chapel”. There are also two references in the local newspaper “Eddowes’s Journal” to weddings having taken place in 1874 in the “Ebenezer Chapel, Hopesgate”. The only reason that I and your website thought that it was Bentlawnt PM Chapel was because it was built in that hamlet! If one thinks of it logically, why would the local PMs build two chapels at the same time (i.e. 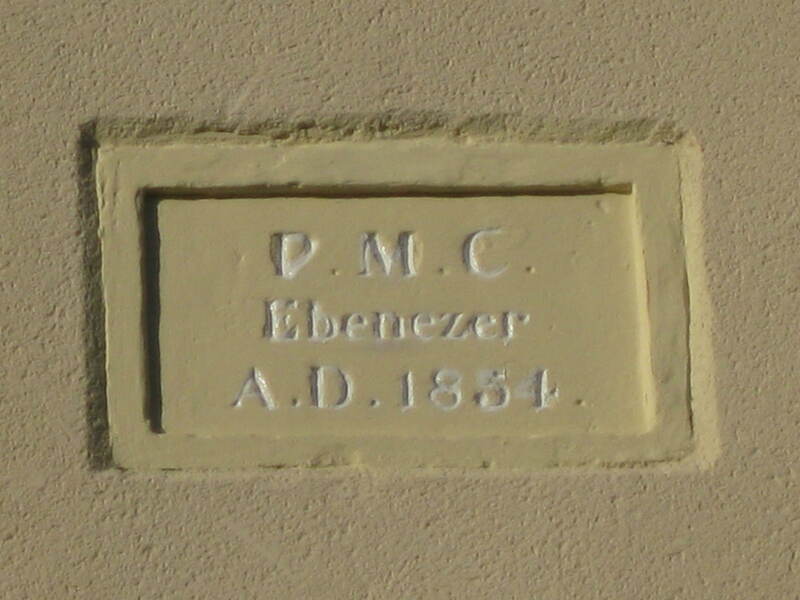 1854-5) entirely at their own expence, near to one another, in a sparsely inhabited countryside, and give them both the name “Ebenezer”? 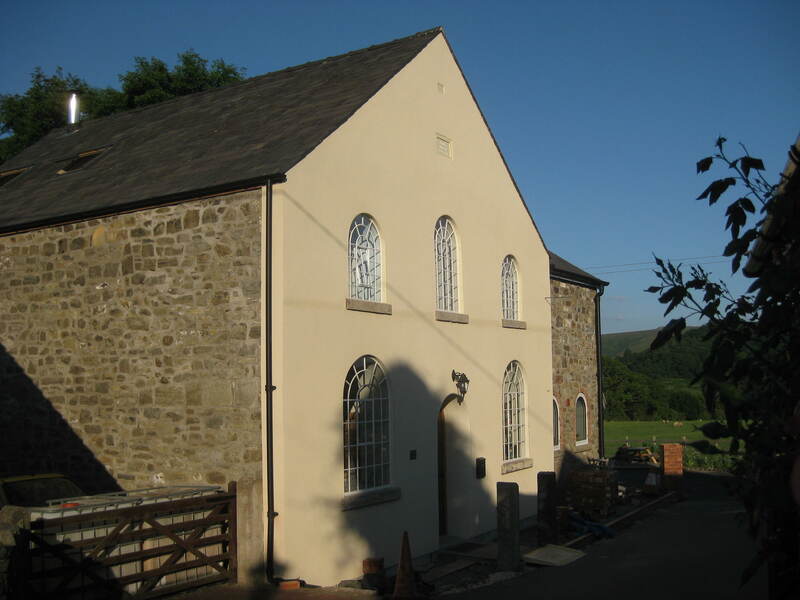 So, the chapel built at Bentlawnt was “Hope’s Gate Primitive Methodist Chapel”. Further information on this chapel can be viewed by following the link to Shropshire Nonconformist Chapels. This pictures the chapel on 2001 before it converted into a dwelling. Ford Heath P M Chapel Shropshire. Knockin Heath Ebenenzer PM Chapel Shropshire.